Sprinkle and spritz! 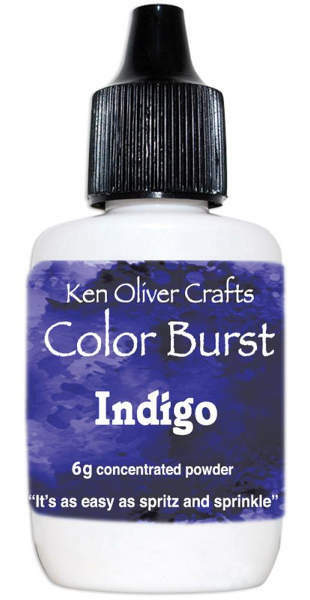 Color Burst is an amazing concentrated microfine watercolor powder that lets you create beautiful watercolor techniques like never before! This versatile powder can be used with so many fun techniques! Spritz your project with water and sprinkle on Color Burst to create amazing designs or Sprinkle Color Burst on dry paper and then spritz with water for a completely different look. Dissolve in water to create your own custom mists. Use with brush to paint, the possibilities are endless!